Here in the south we have about month more before the migration starts. Want to estimate the number of hummingbirds using your feeders during migration? Multiply each hummingbird you see by 5. 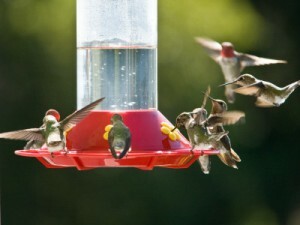 Have 10 at your feeder, 50 are passing thru your yard! This entry was posted on Saturday, August 24th, 2013 at 2:11 pm	and is filed under News & Updates. You can follow any responses to this entry through the RSS 2.0 feed. Both comments and pings are currently closed.